This entry was posted on 25th October 2018 by WoodBlocX. 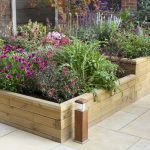 A garden full raised beds or just one or two can bring so many benefits whether you’re a keen gardener or not. 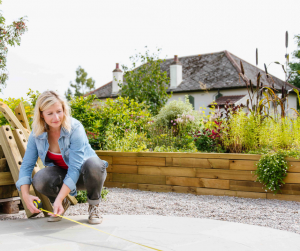 Before installing raised beds there are a few things to consider to ensure you get the best fit for you and your garden. Q. What is the best position for a raised bed? A. Once you have decided where you would like to build your raised bed, note where the sun rises and sets, the amount of light that falls on that particular spot will help you decide whether it is the best place to build it or not, for example, if your raised bed has shade cast over it for most of the day and you plan to grow certain plants or vegetables you might struggle. Q. 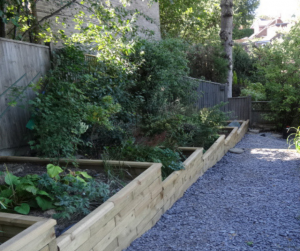 What surface can a raised bed be built on? WoodBlocX raised beds can be built on any surface and there is no need for foundations or cement, build them directly on soil, grass, paving, tarmac, concrete or even sloped gardens, their unique design, which incorporates a series of strong dowels means structures can withstand ground movement when built on a reasonable surface. Q. What soil should I fill my raised bed with? A. This totally depends on what you plan to grow. 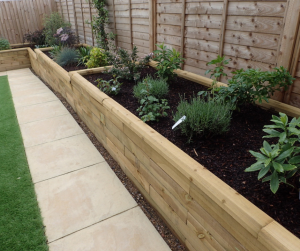 Raised beds are a great solution for gardens with poor soil as you can select the type you use. Filling the space with a rich compost mixture would work really well but would also be very expensive. We advise customers to use a good topsoil mix and add a soil improver or compost mix to the top layers. Sandy soil is the best all-rounder. Using a bought-in topsoil rather than using up any surplus from the garden gives you much more control over weeds. Soils can be made richer through using your own homemade compost or manure, but check whether these mixes are suitable for what you plan to grow and remember plants and vegetables can be supported with soil and liquid fertilisers too. Q. What can I grow in a raised bed? A. You can grow almost anything in a raised bed! 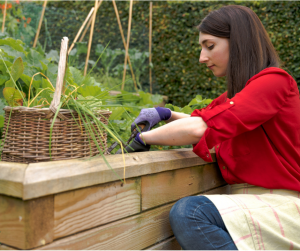 Many of our customers favour them for growing edibles because the extra height makes the regular cycle of sowing, maintaining, weeding and harvesting really easy. 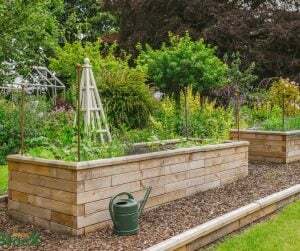 Depending on the surface that your raised bed is built on you may need to consider planting deeper rooted varieties in taller beds rather than low-level beds. 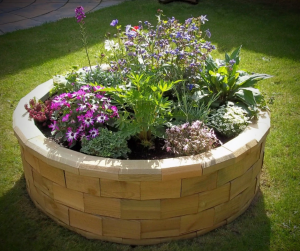 Raised beds are ideal for organic growing as you can control exactly what is used in them, also ericaceous plants such as rhododendron and camellia can also be planted using an acidic soil mixture. Q. How do I calculate the soil quantity for my raised bed? A. If you are filling your raised bed completely then a simple way to work out how many litres is length(m) x width(m) x height(cm), but if you are adding a drainage layer to the bottom subtract the height of the layer from the equation so you don’t over order. Q. How do I maintain my raised bed? A. 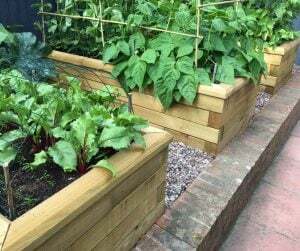 Our raised beds are maintenance free, the wood is pre-drilled and then pressure treated, we expect them to last 15 years or more without rotting, cracking or warping. Our structures are joined by a series of dowels that help to create a rigid structure which can withstand tension forces (each dowel joint will withstand up to 0.9 tonnes of shear force in our tests). Q. 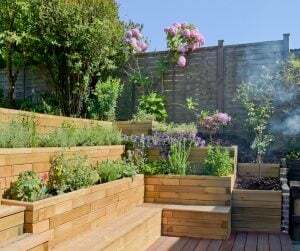 Can I build raised beds on a sloped garden? A. Yes! 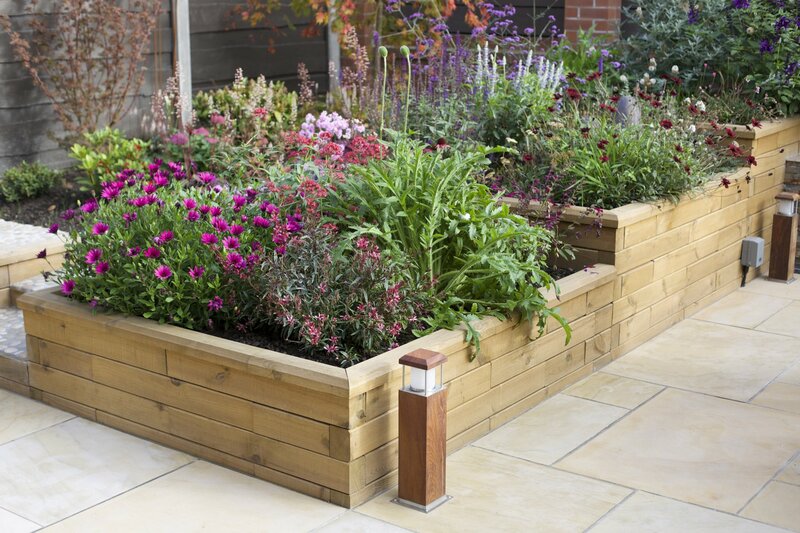 WoodBlocX raised beds are ideal for sloped gardens, the beds can be designed to match the contours of your garden and with the addition of ground spikes, which will help hold the structure down on slopes, helping to prevent the structure from slipping sideways down the hill. Ground spikes are placed on the first layer of all WoodBlocX structures and are also located in every buttress. 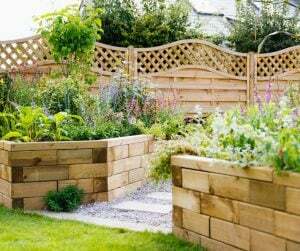 Many of our customers also use WoodBlocX for retaining walls to landscape their gardens.